Meticulous landscaping helped transform Braden Creek/Park Place Apartments. 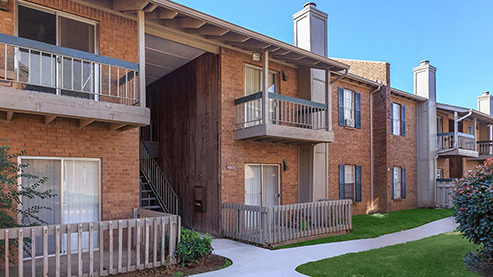 Apartment Income Investors (Aii) is pleased to announce the sale of Braden Creek and Park Place Apartments, a 442-unit apartment complex in Tulsa, Oklahoma. The property was part of a seven-property, 1,810-unit portfolio. Aii acquired Braden Creek/Park Place Apartments in October 2014 in an off-market transaction sourced through existing broker relationships at an attractive price based on sale comps for similar properties. Aii implemented a business plan to improve operational efficiency, increase asking rates to market rent at comparable properties and provide a positive rental experience through greater community involvement. Community activities sponsored by Aii included partnering with a local YMCA and inviting first responders to resident events. In addition, Aii implemented a capital improvement plan, including upgrades to roofing, club house, pools, parking lots, landscaping and laundry facilities. As a result of Aii’s business plan, net operating income increased by 25.45%, with a net return to investors of 14.25%. Aii sold the portfolio at a premium price due to the aggressive profile of the buyer and the economies of scale inherent in several properties with 1,810 apartment units. Along with a positive time in the real estate cycle, these conditions created an ideal situation to realize profits. For more information, also see this case study showing how the Braden Creek/Park Place investment exemplifies Aii’s investment process. Founded in 1994, Apartment Income Investors (Aii) has a proven track record of buying underperforming Class B multifamily properties and implementing renovation and repositioning strategies to improve operations and substantially increase the value of each property. This strategy has proven successful through several real estate cycles with above-average returns to investors. The company’s goal is to transform homes, lives and communities while delivering superior investment returns. Aii recently launched Transformation Housing Fund, L.P. to take advantage of rising demand for rental housing. For more information, please visit www.aiiproperties.com or contact Carolyn Manwaring at 805.604.2697 | carolyn@aiiproperties.com.